For us parents who have limited time to get our kids on and off the bus, it’s good to know when it’s going to get there. It’s how the modern age is working. 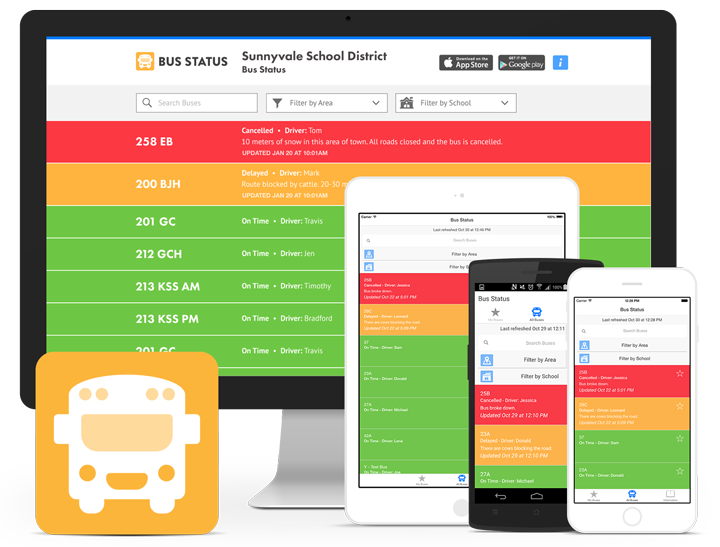 Everybody wants to have as much information at their fingertips as possible and we’re happy to be able to provide that with the bus app. If the parents are out waiting at the bus stop with the child, if they have their phone on them, it’s another way they can get notified.